Technical Training Professionals produces state-of-the-art training materials for the utility and manufacturing industries which feature detailed 3D model images and videos. Our content can also include customization where site control screens, photos, piping and instrument drawings and other documentation are presented with our content. 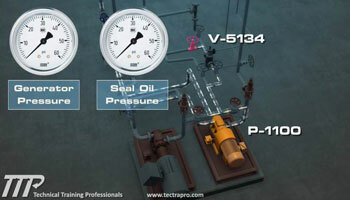 3D training offers a visual presentation of the inner workings of power plant equipment. The interaction between mechanical components and the fluids is visually presented and concepts easily understood. 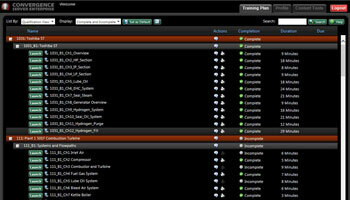 TTP’s LMS System has two major features. The first is to provides an efficient way of loading training material, assigning, making updates, providing tests and test results to managers and trainees. The second is to manage site documentation and be able to synchronize this documentation with smart devices for use in the field, or at someone’s desk. This includes revision management of vendor manuals, Piping and Instrument Drawings, Electrical Schematics, Completed OJT’s and other training documentation, Step-by-Step 3D instructions for maintenance and much more. Also, our LMS site can “assign” reference materials as part of a work order to be sure that the technicians have reference information and do not have to search for it. TTP provides low-cost, equipment-specific training for Gas Turbines, Heat Recovery Steam Generators, Steam Turbines and Balance of Plant Systems. We provide site-specific content for maintenance, operation and safety subjects. Our personnel are very adept at leveraging 2D and 3D drawings, engineering site models, as well as existing plant system descriptions and procedures.